No matter what anyone ever has to say about electronic drums you should go with your own gut. 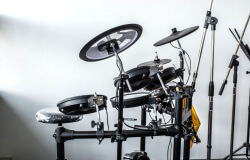 The Alesis DM 10 Studio Kit is a fine drum kit that also happens to be an electronic drum kit. Yeah, I know you hear some negative things about these kits from the purists but here is a news flash “drum kits (traditional ones) are very rarely if ever used in the studio for recording”. All your favorite drummers are using electronic kits nowadays because they are just more practical. They are not as showy but they really do get the job done. 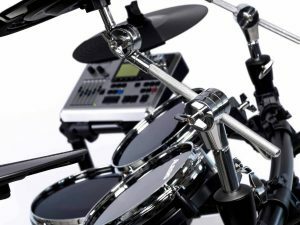 Whether you are looking for an easy way to practice or a kit for a smallish venue or for recording sessions you need an electronic drum kit. If you are a musician that travels and you have to deal with small venues you know what the deal is. You know that lugging a full size kit unless you are at the top of your game and someone else is lugging it for you is just not practical. Sure that acoustic kit has a great stage presence but the reality is audiences are becoming more and more accustomed to seeing electronic drum kits on stage anyway. They are easier to practice with and they even give off a more accurate sound than some of the full size acoustic kits. 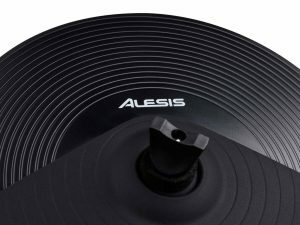 The Alesis DM10 is an awesome practice tool because you can just plug in your headphones and no one else can hear you ripping but you. We loved this kit for many reasons that we talk about below but more importantly we think you will love it too. 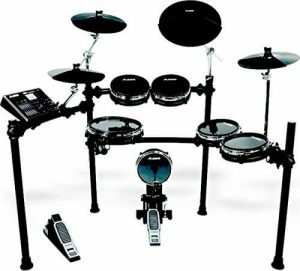 If you are in the market for an electric drum kit this may be the option you have been searching for. We pulled it all apart and took a really close look at the features, we found a couple of flaws but nothing you cannot work around. 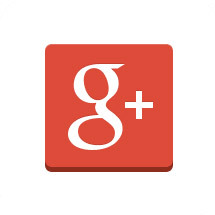 We talked to other people as well about what they thought and hands down it has gotten rave reviews. We are going to kick off with the list of things that we love about this kit, then take a look at what we would like to see improved and then tidy things up with our overall impression and recommendations for purchasing this kit. We unpacked the box and were immediately impressed with the look of this kit. It has a really sleek look that would look great on any stage. Once we pulled it all together we liked the way the kit was laid out. Everything was really intuitive to use which of course makes things so much easier when you are transitioning from acoustic to this kit. The box came full of goodies. The outfit was nicely complete. It is a six piece kit that is easy to assemble, it took us about 40 minutes to be ready to play. It has a DM10 HD module that has a mixer with 12 trigger inputs. It offers a control via a USB for 3rd party sets or computer software control. This set also offers dynamic “articulation” to swiftly change timbre giving it a very real drum sound. We loved the drum heads which are Mylar and have a really nice bounce to them that easily compete with a high end acoustic set. DM10 high-definition drum module with 12 trigger inputs and mixer. We found the stand to be nice and sturdy no matter how hard you are going at it. The stand is lightweight and portable and has boom cymbal arms integrated into the design. Overall we found this kit to absolutely be a professional grade kit. The module is a new design and offers true to life sounds. 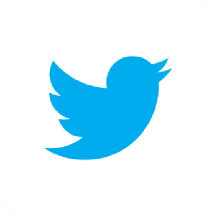 We liked the layout but it can easily be altered to suit your personal preference. The pads are easy to use and have a real feel to them but they are pads and you should keep that in mind. We liked that you can edit the sound of each individual pad. For example if you like a really deep bass drum you can go and adjust the levels for your bass drum pad. It works out well for customizing your own personal sound. We loved the entire kit and were very happy with the module BUT, there is always a but. The one thing we would like to see change is the instructions that come with the kit. We were able to navigate around the instructions by going to the Alesis website and watching a tutorial on how to put the kit together. The video helps! We would like to see better instructions for assembly shipped with the kit. Some other concerns that we talked to other people about were really user error and had nothing to do with the kit. One drummer friend mentioned that they had dented the heads, well that happens when you are used to playing an acoustic set which you have to hit harder to make go louder. You do NOT have to beat on these pads to get more sound! We also have to mention that the buddy that has dented up his pads is still using the kit without any issue which tells us that the kit is durable. It can take a beating get a few dents and keeping playing! We would like to see easier navigation to save kits. You can save over 100 custom kits and it comes with over 100 prearranged kits but it can be a little tricky to navigate to saved sounds, not really tricky but it would be nice if there was a button pad that you could just push to get to a track. We liked the stand, it is really sturdy and easy to set up and take down BUT we would like a little more room on the stand. Of course we may be applying our want list to things that really are only found on the 4K plus kits but it is okay to dream. Frankly for the money you cannot ask for more out of this kit, it performs every single time we pull it out. We have had zero issues with it at all. Really there is nothing else you could hope for. We just like to point out or dreams for the perfect kit. We talked about our buddy above that has dented up his kit because he forgets that he does not need to really rage on the pads to get a louder sound. 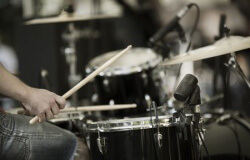 It is a common error that people make that have been trained on acoustic drums. It may take a few sessions before you get used to the bounce and the idea that you do not need to beat them into oblivion. You should note that we liked the bounce but we are experienced in playing electronic drum kits. That bounce will take some getting used to. The sensitivity level on this kit is adjustable so you may want to take a few minutes before you start jamming too hard to find the right level for your personal preferences. With a little experience the sensitivity will not be an issue and you will easily be able to find your groove! Whether you are a novice or an expert you will want to experiment musically with this kit to get the most out of it. 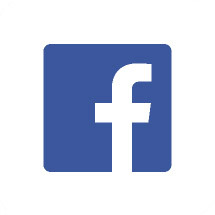 It offers some really great features that can help you to compose and just really enjoy playing. We love it. We did not find anyone that did not at least like this kit. It is relatively affordable when you consider the price point of other kits so it is a good investment. It is durable, relatively easy to assemble. Lightweight and easy to travel with and has a sturdy dependable stand. What is not to love about this kit? We could not find anything that we would change with the kit itself. Everything worked great for us, we loved the versatility of it and were happy with the performance. Overall whether you are a novice or you have experience this would be a great kit to own. You can finally practice without driving your neighbor’s nuts. You can easily hook up to any computer (there is Apple adaptations as well that you can buy separately). It is overall a great choice!